I remember the first time I ate brussels sprouts. It was roasted with bacon pieces and all that glistening bacon fat along with it. 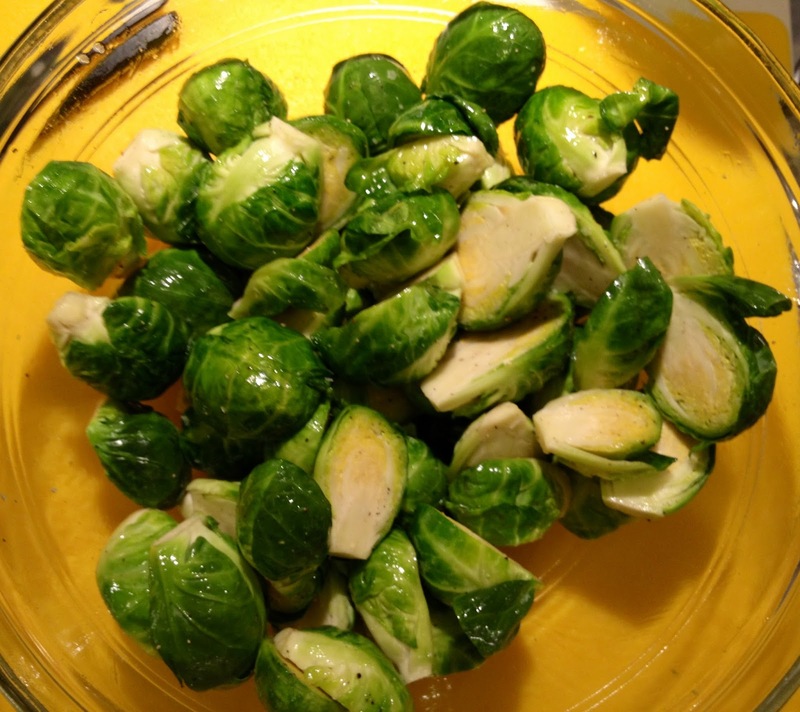 It's too bad the bacon negated any of the nutritional value in the brussels sprouts, because it tasted oh so good! That spawned my curiosity in that nubby green vegetable. I started looking up recipes so I could make them at home and was surprised to find out how easy it is! 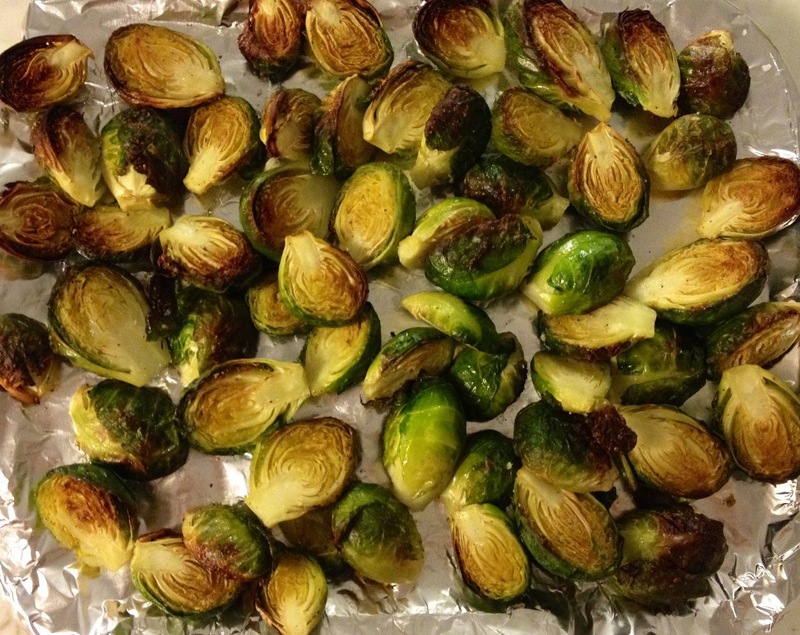 My favorite way to eat them is simply roasted with olive oil and minimal seasonings. That way you really taste the brussels sprouts, which if perfectly cooked will be crispy on the outside and soft on the inside. Yum! Whole Foods has a very basic recipe for brussels sprouts and it is one of my go-to weeknight recipes. Preheat oven to 400°F. 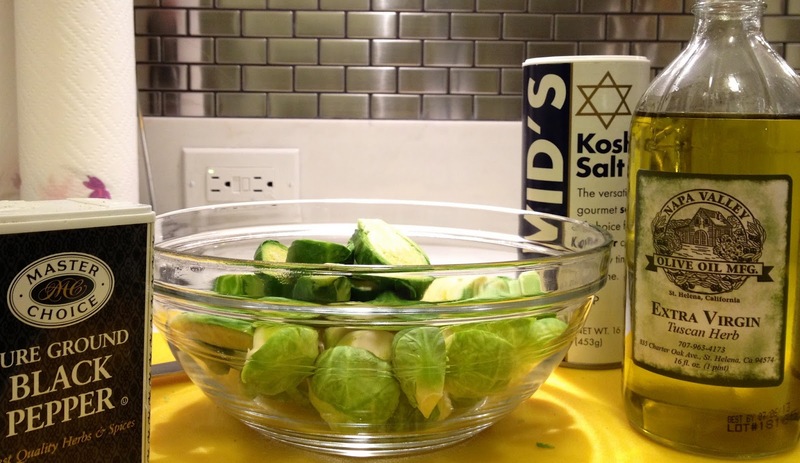 Trim the stem ends of the Brussels sprouts and pull off any yellow outer leaves. 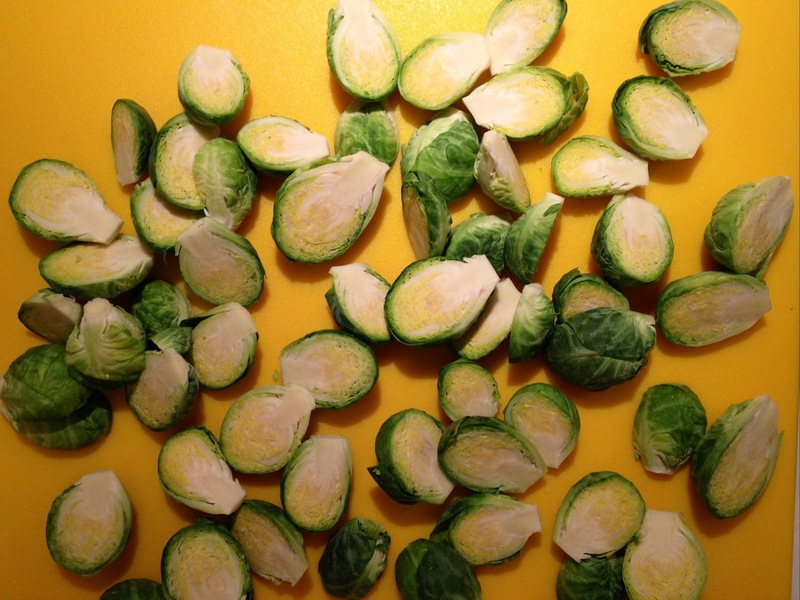 Halve each sprout lengthwise. Toss them in a bowl and add olive oil, salt and pepper. Mix well with your hands. Line a baking tray with aluminum foil. 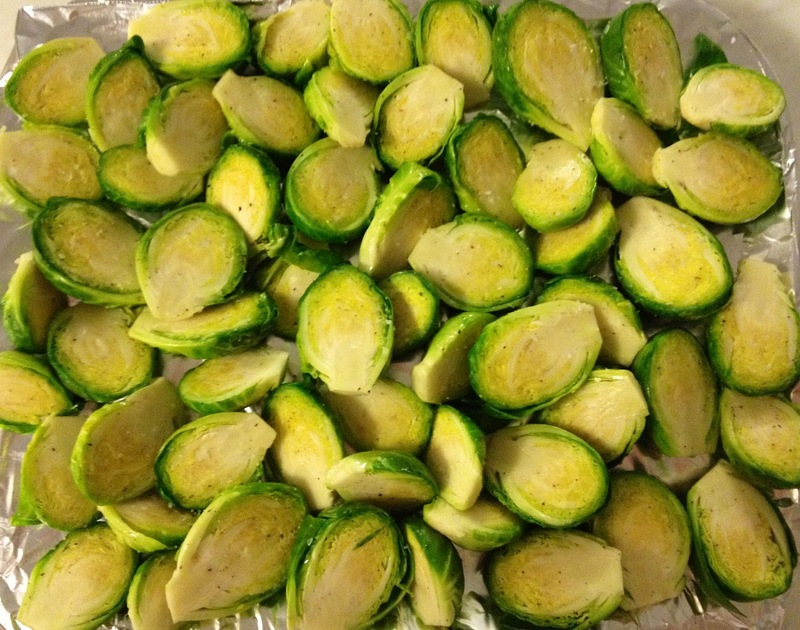 Spread brussels sprouts evenly over the tray. Bake at 400 degrees for a total of 30 minutes. Halfway through cooking, give them a little toss. 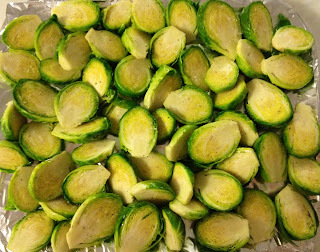 When they are done, the outer leaves will be browned and a little crispy, while the middle of the sprouts will be tender. 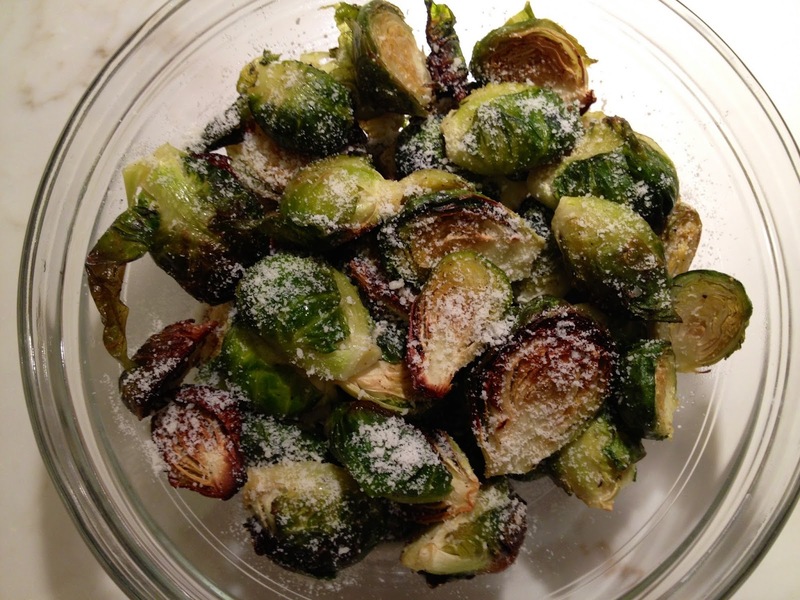 Serve the brussels sprouts in a bowl with Pecorino Romano cheese sprinkled on top.